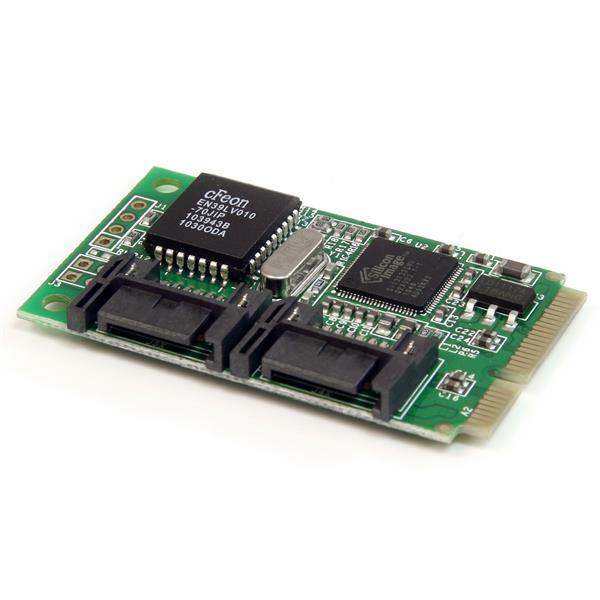 The MPEXSATA22I 2-Port Mini PCIe to SATA Controller Card lets you add 2 SATA 3Gbps connectors to a small form factor or embedded system, through a Mini PCI Express (Mini Card) expansion slot. 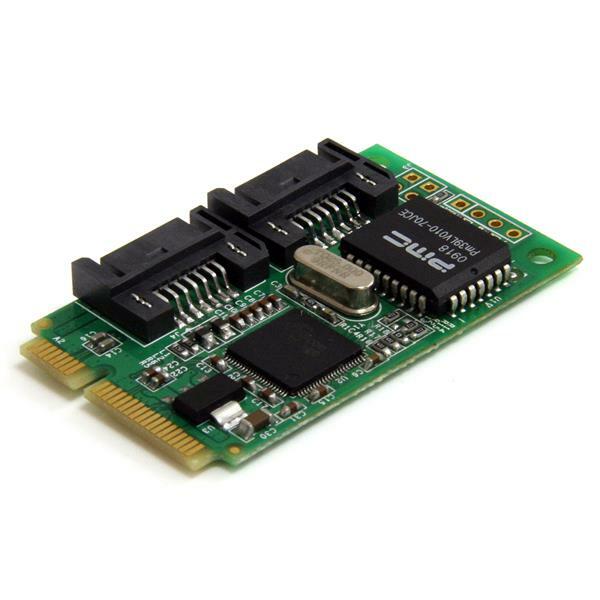 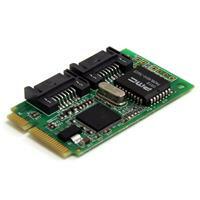 Perfect for upgrading the capabilities of a system that would typically have a very limited number of internal ports, the Mini PCIe to SATA controller card is compatible with all types of Serial ATA devices, including hard drives (HDDs), Solid State Drives (SSD), and optical drives (CD/DVD/BD). 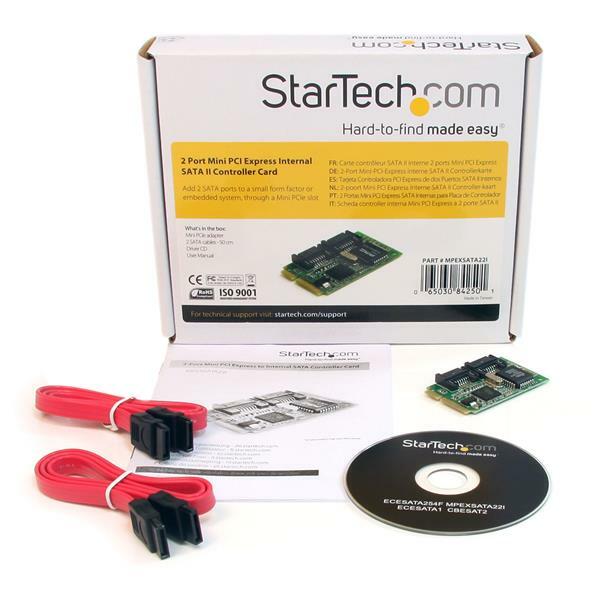 A versatile solution for internal storage applications, this PCI Express to SATA controller card features built-in RAID support (JBOD, BIG, RAID 0, RAID 1), and is backed by a StarTech.com 2-year warranty and free lifetime technical support.